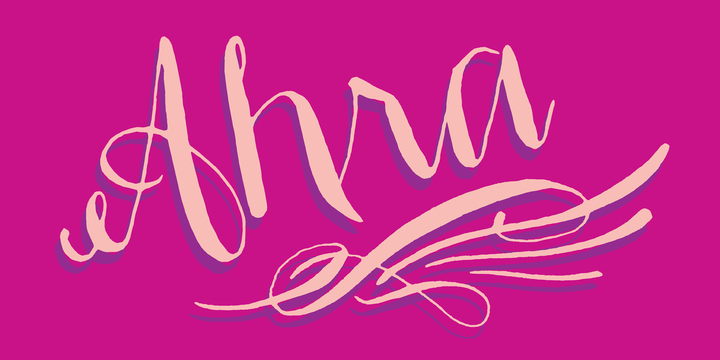 Ahra is an elegant calligraphic handwritten typeface created by Jessica McCarty and published by Magpie Paper Works that has three sets of capital letters, prepositions, envelope addressing, an ornate set of numerals 0-9 etc. It is perfect for headline, magazine,wedding etc. Have fun! A font description published on Tuesday, May 14th, 2013 in Fonts, Magpie Paper Works by Alexandra that has 9,389 views.